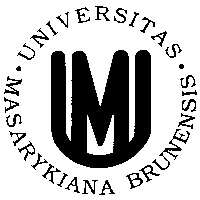 Profile: Masaryk University, established in 1919, is the second largest Czech university with around 36.000 students and 4.500 staff in 9 faculties and 2 university Institutes. MU is acknowledged as one of the most important teaching and research institutions in the Czech Republic and a highly-regarded Central European university, being involved in many research projects funded by the European Union. It is a leading national university in the area of e-infrastructures and cybersecurity. It hosts national research infrastructure CERIT-SC (CERIT Scientific Cloud) and the Cybersecurity, Cybercrime and Critical Information Infrastructures Centre of Excellence (C4e). C4e is a multidisciplinary centre led by the Institute of Computer Science in collaboration with the Faculty of Informatics and the Faculty of Law. It focuses on basic research in the areas of cybersecurity, protection of critical infrastructures, and cybersecurity law. The centre is a communication hub fostering communication between academia, industry and governmental bodies dedicated to finding intersectoral solutions to cybersecurity challenges. Its key research facility is the KYPO cyber range, a research and education platform for safe execution of complex security scenarios. KYPO is developed by CSIRT-MU, an accredited security team with strong operational experience, which is a key player in the Czech security cyberspace. The team also has experience in using KYPO to host cybersecurity exercises of various scale mimicking a real-world infrastructure for industry and governmental agencies. Expertise and Role in CONCORDIA: MUNI will participate in all WPs and lead task T5.2 on dissemination and communication activities. Hosting the national research infrastructure CERIT-SC (CERIT Scientific Cloud) and the Cybersecurity, Cybercrime and Critical Information Infrastructures Centre of Excellence (C4e), MUNI will contribute to CONCORDIA research in the areas of cybersecurity, protection of critical infrastructures, cybersecurity law and also KYPO cyber range, a research and education platform for safe execution of complex security scenarios.